As you might assume, the healthcare industry takes up a large chunk of the U.S. economies GDP with one profession leading the charge: nurses! Nurses perform a variety of responsibilities that are extremely important to the overall delivery of healthcare across a multitude of settings and are the number one profession within the Healthcare Industry. They work in a space that is notorious for long hours and a lack of staffing – a problem that appears to be continuing. There has been a lot of discussion recently about a nursing shortage and most nurses would tend to agree. I say most because there is a bit of a twist to this shortage we keep on hearing about. At face value, the numbers look bleak. In 2016 almost 65k qualified baccalaureate and graduate nursing programs candidates were turned away from schools across the United States from a lack of funding and facilities.1 The Institute of Medicine in the United States has called for an 80% increase of BSN related programs over the next few years and has seen only a 4% increase of programs. Plus, the average age of current nurses is over 50, meaning many current nurses are starting to prepare for retirement. Combine these numbers with there being approximately 69 million baby boomers by 2030 (nearly 1 in 5 Americans), it would be easy to assume there is going to be a huge deficit of nurses by 2030. Utilizing a supply relative to demand simulation model from base year 2014 to end year 2030, the organization found certain states to have a significant shortage of nurses and, surprisingly, a significant surplus in other states.2 For example: a nurse in Florida may read that there is a shortage of nurses and the industry will never catch up. But the research shows that there is going to be an oversupply of nurses in the state of Florida by almost 54k professionals over the next 10 years. This doesn’t mean that nurse graduates in Florida need to pick-up and move to California, where there is a predicted shortage of almost 45k nurses over the next 10 years. What this information does is provide nurses around the country with the information they need to make the best decisions for their careers and families. 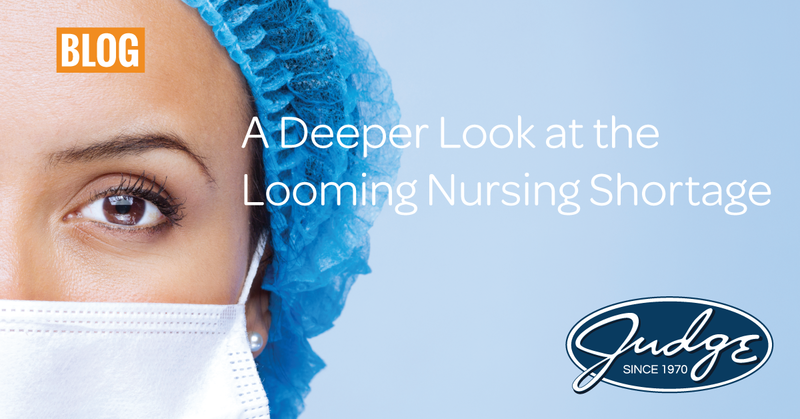 There is light on the other side of the nursing shortage tunnel. But now more than ever, it is important to stay up-to-date with all the facts in this exciting time in the healthcare industry. Baseline and Projected Supply of and Demand for Registered Nurses by State: 2014 and 2030 provided by U.S. Department of Health and Human Services, Health Resources and Services Administration, National Center for Health Workforce Analysis. 2017. National and Regional Supply and Demand Projections of the Nursing Workforce: 2014-2030.